I’ve been having the oddest feeling lately and I couldn’t put my finger on the reason why. Things seem to be going well. I started working with my first new student here in Los Angeles, a big step in my plan to expand my teaching practice. I have written a lot of cool music and even bought myself a new guitar! And yet this cloud hovered over me. On a good day, with meditation and exercise, I could fight back against this creeping feeling. On an average day, however, I was consumed and it was beginning to affect my every day life. After a particularly grumpy day, the answer presented itself quite unceremoniously. I had just passed my 8th anniversary of getting clean. And I hadn’t even noticed. 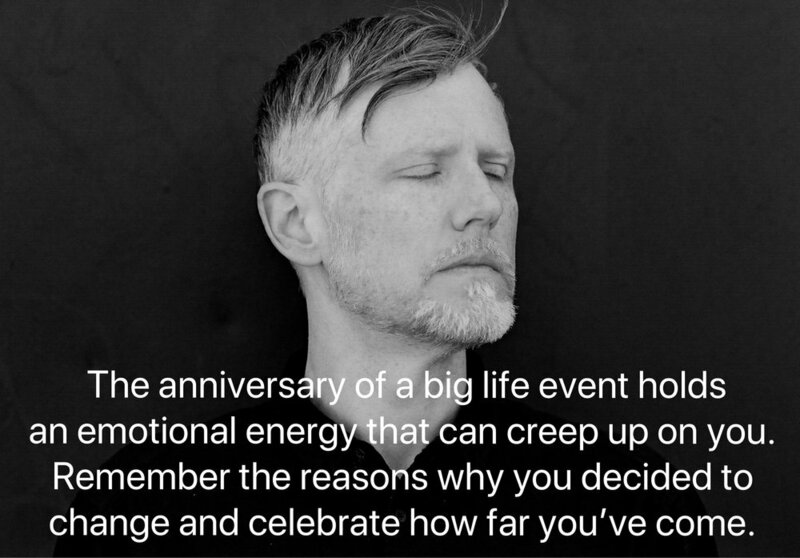 I remember speaking with some friends in Kansas City who were in recovery for substances far more addictive than those I quit, about the significance of your “clean” anniversary. In all honesty, I’ve never given it much thought. In NA/AA, they explained, your anniversary and the weeks surrounding it are often guided by your sponsor, due to the overwhelming feeling of guilt and regret that many people experience. You are reliving your “bottom”, that moment where you made the choice between a destructive and selfish path or the beginning of a hard road towards a healthier existence. Neither choice is particularly attractive and most addicts mull them over for weeks before making their decision. The memory of this choice and the weeks leading up it, formed this cloud that has followed me this week. I am hopeful that sharing this with everyone will start the yearly process of embracing and forgiving of the person I am and used to be.